How cute is this little wocket! I received this awesome little animal and book for Christmas from my husbands wonderful mother. I have been SO excited to share them with my students for Dr. Seuss week. She purchased them at Kohls. Kohls cares is a program committed to kids health and education. They feature an author and have books that are hardcover for five dollars! What a deal! 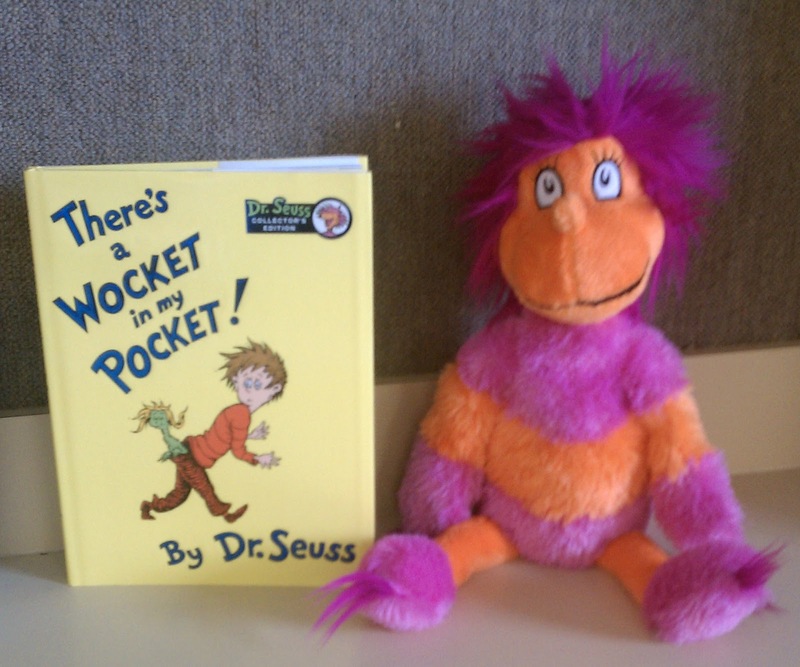 You can also pick up a cute stuffed animal to go with the book for five more bucks! Right now they are featuring Eric Carle click HERE to check it out and order one for yourself. 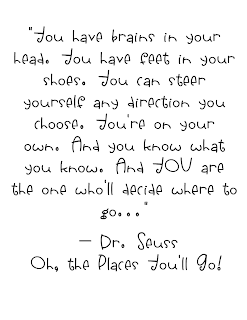 I also made a collection of some of my favorite Dr. Seuss quotes to share with my class this week. If you are interested you can print yourself a copy HERE. P.S I still haven't figured out how to show a preview of the google document I want to share. So if you know and want to teach me I would love it! That was fast! Thank you to Kathy over at First Grade al a Cart I now know how to show the image of my google documents! I'm so excited! Last but not least if you haven't entered to win Donna Glynn's Dr. Seuss giveaway on Erica Bohrer's First Grade Blog click this link to enter! I would be SO excited to win this, contest ends on March 1st. I love the quotes!! 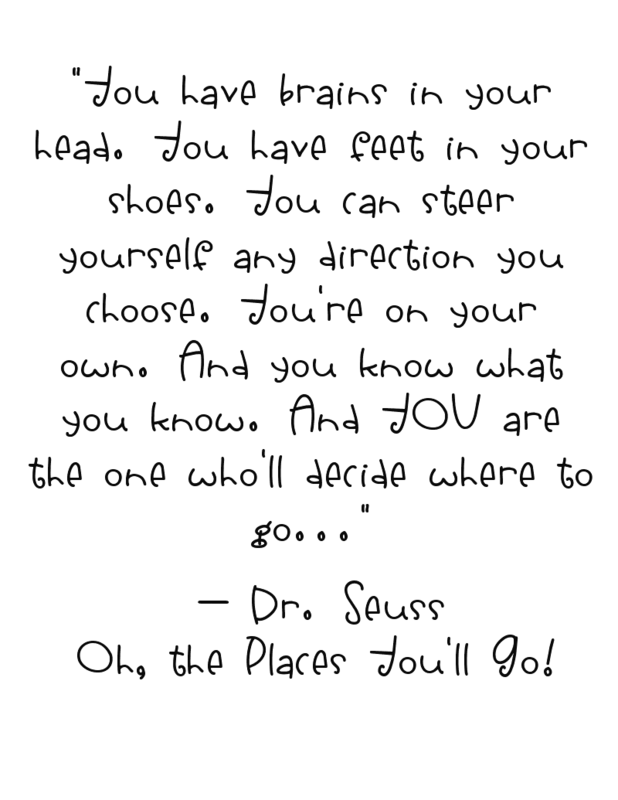 Have a SENSATIONAL Seuss week! P.S. I can give you directions to post an image of your doc...After you have saved it to Google docs, right click on the document and save the image to wherever you save pics on your hard drive. When you go back to your post, choose image. Then browse to find the image of your doc. Then click on the bottom left button, I think it says go. It will put the pic of your doc in your post. I hope this helps!